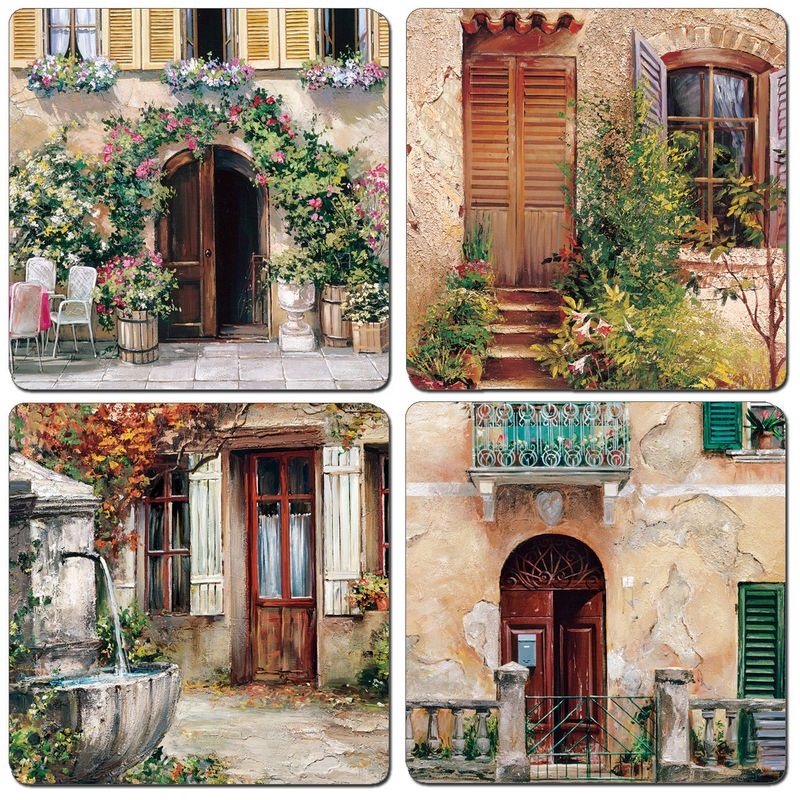 Tuscan Doorways by Classic Collection captures the spirit and romance of the historical Tuscany, Italy. 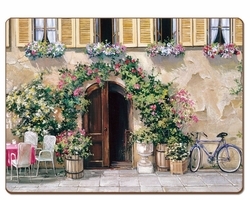 The color palette is of soft colors, with grayish old stone color being the dominant color. In addition there are blue, red and green added in a medium tone. Packaged in an elegant black linen box with a gold foil Cala Home logo on the top. 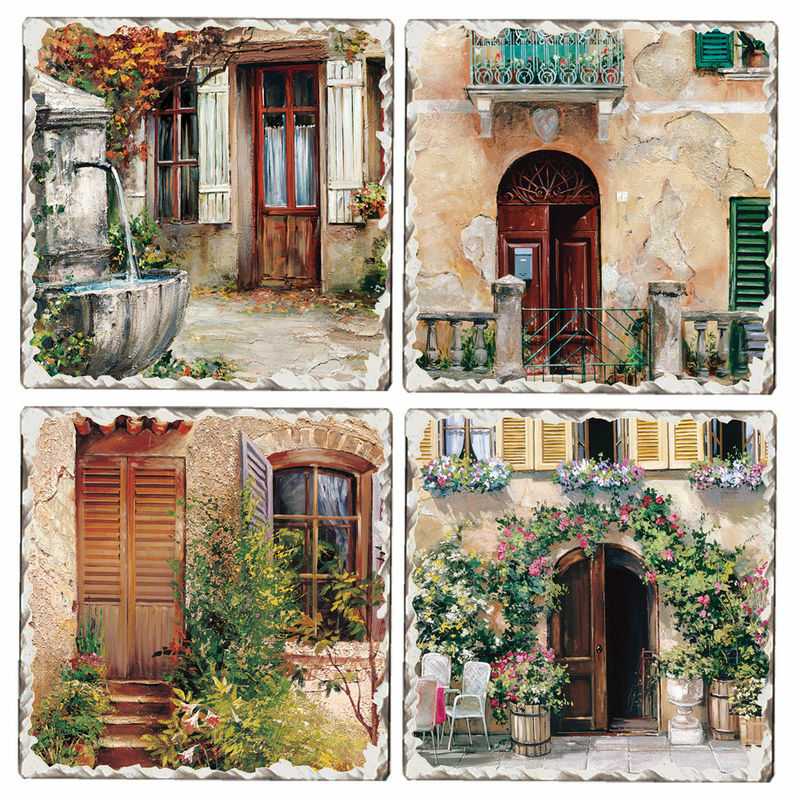 The Tuscany Doorways Design is a multi-image set. Actual measurements of each : 15.75" x 11.5"
Gift Set of 4 Cork-back Coasters with a matte finish, packaged in an elegant black linen box with a gold foil Cala Home logo on the top. A fact sheet is included inside each box with care and cleaning information. Our stoneware coasters feature a chiseled edge for an "old world" appearance. The unique composition continually absorbs moisture from beverage condensation and a cork back protects furniture surfaces. 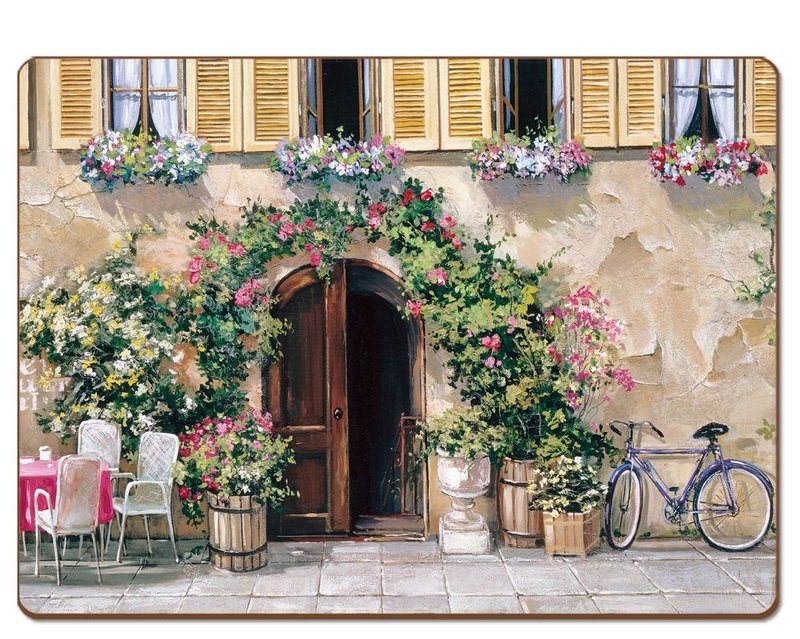 Coasters are 4 inches square and are packaged 4 in an attractive gift box.